Forget The Fast and The Furious franchise, these are the car movies that every gearhead needs to watch. Movies and cars go hand in hand. While some movies just use automobiles as props, others allow the cars themselves play a pivotal role in the film. The best movies for gearheads, though, are the ones that define why we love cars in the first place. Check out these car movies that every gearhead needs to watch, and if you haven’t seen them already, what’s wrong with you?! 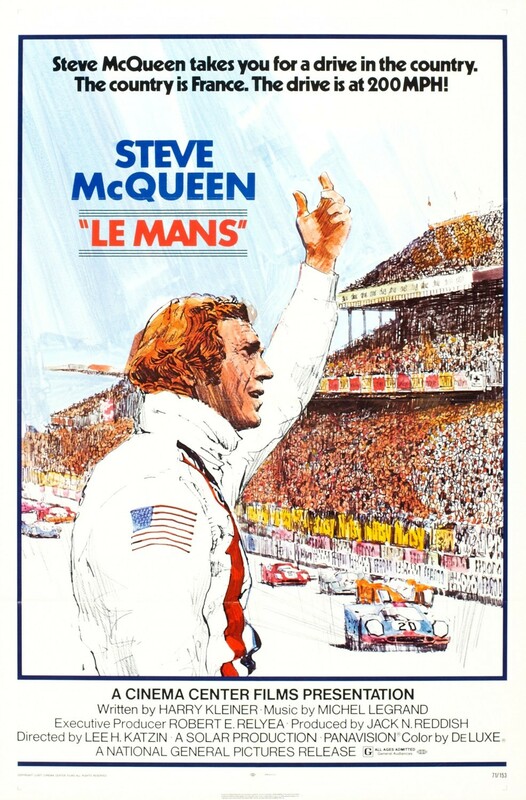 Regarded as one of the best racing movies ever, Le Mans is a 1971 fictional movie about the 24 Hours of Le Mans starring Steve McQueen. Most car buffs know Steve McQueen for his action driving in Bullitt (if not, add that to your list too), but this movie is defined by its racing scenes. Most of the movie’s shots were filmed during the 1970 24 Hours of Le Mans using specially built racecars that actually participated in the race. Even if you don’t love endurance racing, this movie is a must for car lovers. If you’re left wanting more after watching Le Mans, check out the 2015 documentary Steve McQueen: The Man & Le Mans. If two wheels are more your thing, 1971’s On Any Sunday is a documentary giving a unique look at the early days of motorcycle racing. Not only did this movie bring increased popularity to motorcycle racing (including motocross), it also painted motorcycle enthusiasts in a much better light. The characters were everyday guys, not law-breaking gang members like they were depicted in other films. On Any Sunday might be the best documentary ever made for gearheads, and even if you aren’t a motorcycle fan, this is still a must-watch movie! Nicolas Cage and Angelina Jolie made Gone in 60 Seconds a recognizable movie for the new millennium’s theaters, but the original version of this movie is the one to watch. 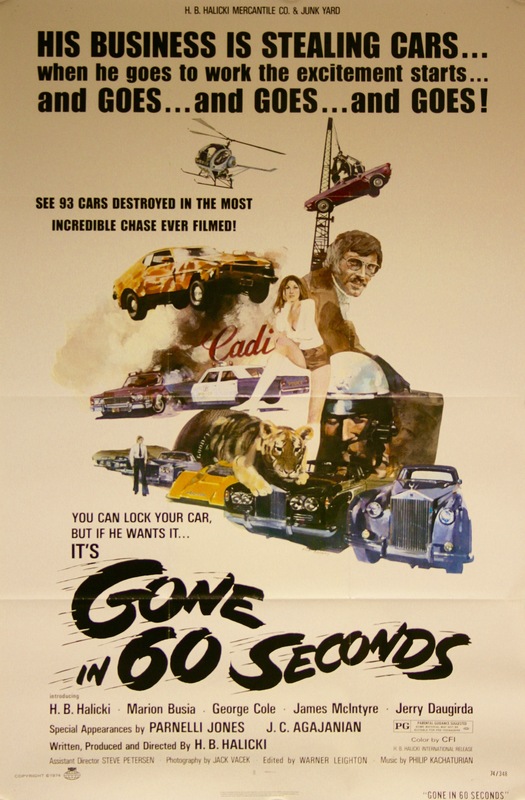 Although it lacks the big budget of the 2000 remake, 1974’s Gone in 60 Seconds lays on a heaping dose of over-the-top car chases and crashes, including a 40-minute chase that resulted in almost 100 cars being destroyed! While Memphis Raines’ difficulties in stealing Eleanor is merely suggested in the newer movie, the main plot of the original centers around the numerous attempts (and failures) of Eleanor – a yellow 1973 Mustang instead of a 1967 Shelby GT500 – bring stolen. 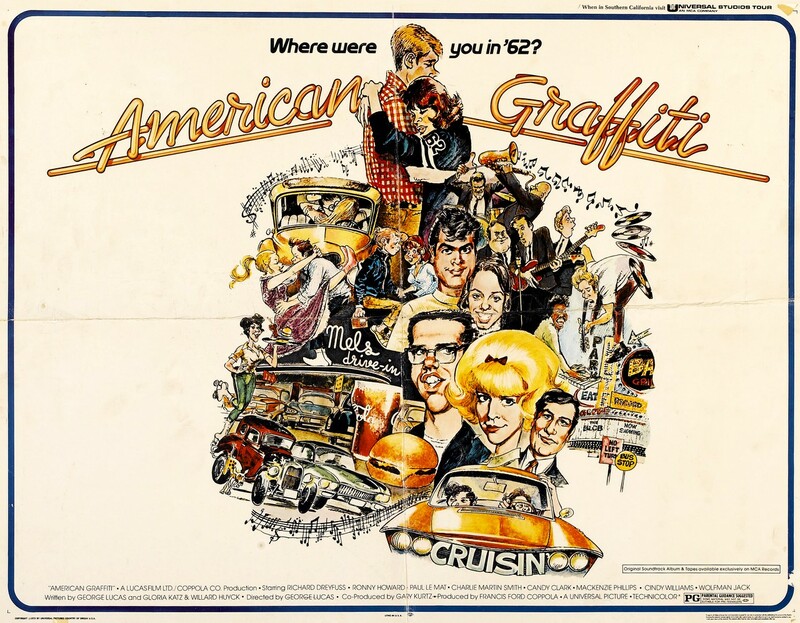 If you like Grease and Dazed and Confused, you will definitely love 1973’s American Graffiti. All three of these movies feature teen-centric, coming-of-age plots, but it’s the car culture of that time that makes them enjoyable for any car lover. Set in the early ’60s, American Graffiti gives a detailed glimpse of what role cars played in socialization among kids, and that is still true even to this day. While the other movies on this list are classics, Rush just feels like once since it focuses on the tumultuous relationship between Niki Lauda and James Hunt in the 1970s. The film was released in 2013. Like Le Mans and On Any Sunday, Rush is an incredibly fun movie to watch even if you aren’t a fan of Formula 1 racing. The intense racing sequences make this a great action film, while the interpersonal conflicts add a welcomed touch of drama.